PST file stands for Personal Storage Table file, is a personal folder file in Microsoft Outlook. 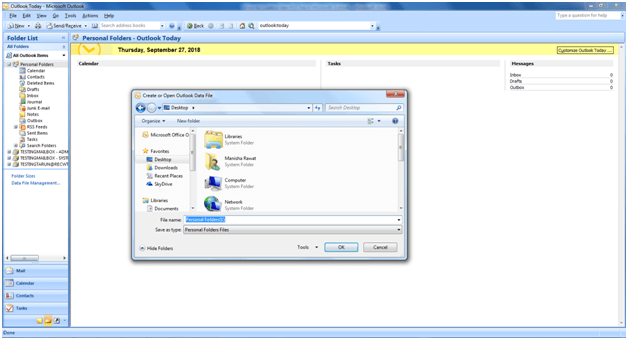 This file stores the copies of emails, events, contacts, tasks, and calendar, etc., all these data items are delivered and stored in the Microsoft Exchange Server and then MS Outlook stores this in PST or OST files. 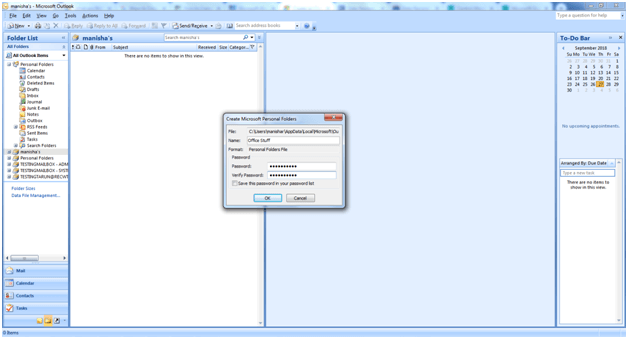 How to create a new PST file in New Version of Outlook? Creating a new PST file is a hassle-free and quick process; it follows a different process for New and older version of MS Outlook. Let’s have a look at how it can be created in the New Version. 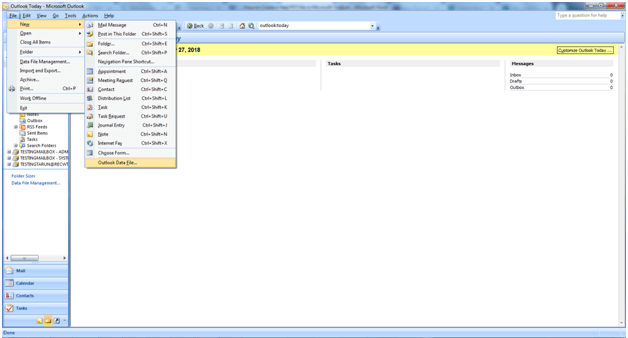 2- Click on the New Items, point to More Items and click Outlook Data files. 3- Give a name for the new PST file and click OK.
1- Open Outlook 2003/2007, then click on the File menu pointing to New click Outlook data file. 2- Now click On Office Outlook Personal Folder File (.PST) and click Ok to continue. 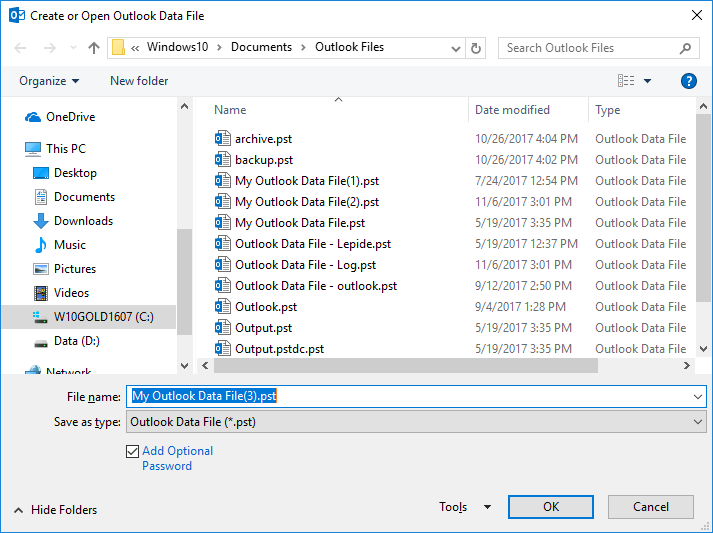 3- A dialogue box will open (Create or Open Outlook Data File), then you need to save the file at the desired location with the desired name, let’s say Personal Folder1 and click Ok.
4- In the dialogue box naming Create Microsoft Personal Folders in the name section, name the file. We recommend naming the file after the purpose it is going to serve it will help you to distinguish between different files. 5- If you want to password protect your file, then you can add a password to it (for the security reasons it will show black dots) and click on Ok.
Is it Possible to Create a File in Outlook Web Access? It is the most frequently asked question about PST file creation that whether it could be created on the Outlook’s Web Access or not. Well, unfortunately not. 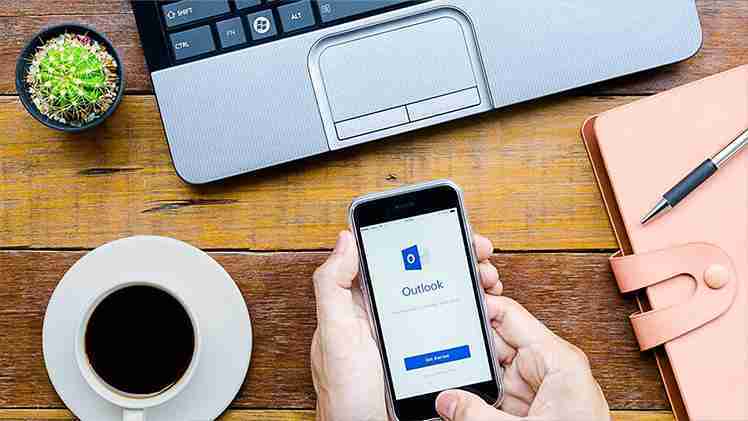 The web access of Outlook doesn’t provide the use of PST files, but you can archive messages into a PST by connecting the Exchange Server through MS Outlook. Is it Possible to Repair Corrupt PST Files inOutlook? Yes, the corrupt PST files can be repaired with the help of Recoveryfix for Outlook PST Repair tool. This software is quick and repairs any sort of damaged and corrupted PST files. It effectively recovers outlook deleted emails, calendars, contacts, and even the large PST files. With the help of this software, one can recover deleted items and folders. 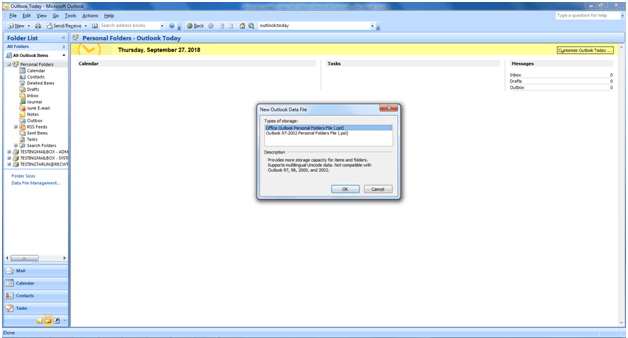 In addition to this, PST emails can be saved in new PST or MSG files or DBX OR EML formats. 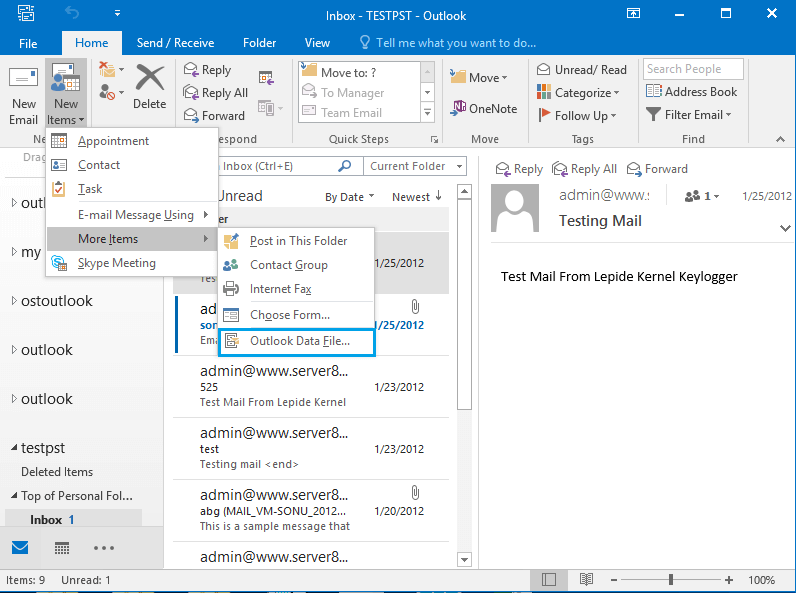 PST files are portable, hence with PST files you can anytime access Outlook emails on another system, for this, you can copy your PST files to USB. PST files can save you from real disasters as it serves as a backup. You can create a backup by copying PST files to a local system which will make your mailbox recoverable. Follow the above-mentioned steps to create a PST file, and by creating it, you have easy and secure access to the data which Outlook contains. The chances of a PST file getting corrupt are quite high which can be effectively repaired with the help of Recoveryfix for Outlook PST Repair tool.